Below you can view all the homes for sale in the Dunwoody North subdivision located in Dunwoody Georgia. 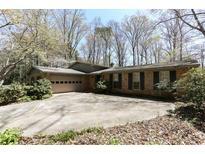 Listings in Dunwoody North are updated daily from data we receive from the Atlanta multiple listing service. To learn more about any of these homes or to receive custom notifications when a new property is listed for sale in Dunwoody North, give us a call at 404-998-4097. Great Neighborhood W/Fun Activities For All! MLS#6535984. Harry Norman Realtors. 2 Baseball Fields, 100+ Acre Brook Run Park. 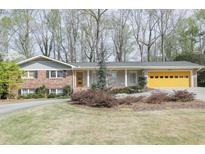 MLS#6531450. Atlanta Communities. Home Is Not In The Flood Plain And Taxes Do Not Reflect Homestead Exemption MLS#6529416. Keller Williams Realty Atl Perimeter. Short Bicycle Ride To Swim/Tennis (Dunwoody North Driving Club). MLS#6527717. Keller Williams Realty Atl Perimeter. Active Dunwoody North Optional Swim/Tennis/Clubhouse Community. MLS#6526165. Chapman Hall Professionals Realty, Llc..
Take In The Food Truck Thursdays, Playground, Dog Park, And Coming Soon - Great Lawn, Multi-Sports Fields And 9-Hole Disc Golf Course. Don'T Miss Out! MLS#6518871. Keller Williams Realty Cityside. New Roof, Hvac , Driveway, Lighting, Landscaping & So Much More! Permits Pulled For All Work. MLS#6515343. Keller Williams Realty Atl Perimeter. Easy Access To All Major Highways! MLS#6508455. Chapman Hall Realtors. 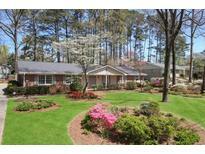 This Is A Family Friendly Neighborhood Convenient To I-285 And Ga 400. MLS#6120897. Coldwell Banker Residential Brokerage. Very Strong Curb Appeal... Home Is Very Original And In Need Of Remodeling- But Tremendous Potential For A Large Comfortable Home. MLS#6105930. Realty Gold Team. Custom Eat In Kitchen, Abundant Cabinetry & Counter Tops, Thermador 5 Burner Gas Cook Top & Commercial Vent Hood, Stainless Steel Appliances, Navien Hot Water System, Whole House Vac System, Dual Hvac Systems, Window Replacements. MLS#6060573. Atlanta Communities.